TX Logistik was one of a number of "independent" operators working trains along Maintal in October 2006. The company is actually controlled by Italian state Railways, hence the graffiti on the side. 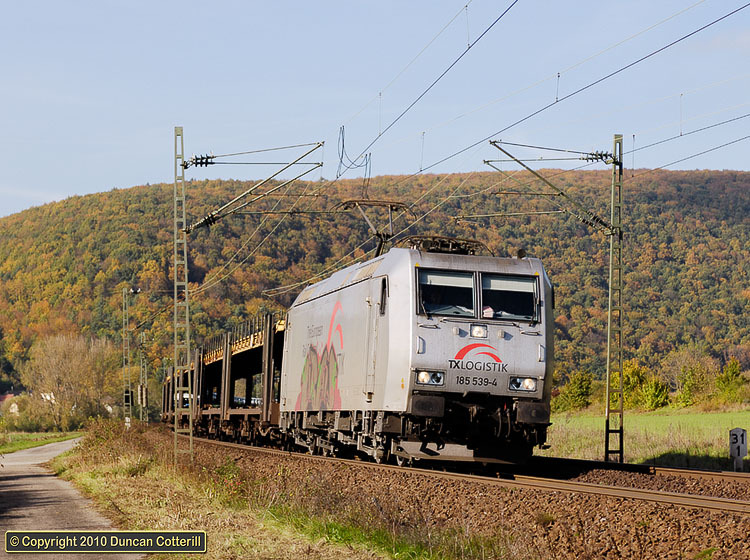 185.539 was working a southbound car train, south of Wernfeld on 25 October 2006.